Notícia da TVI24 de 23 de Janeiro de 2013. 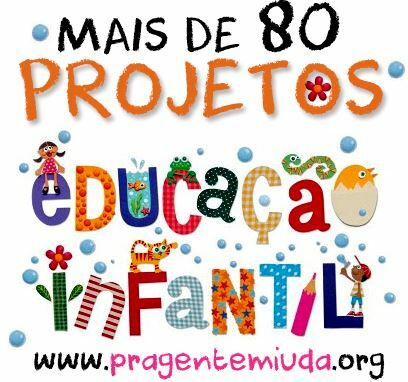 «A maior evidência do presente relatório é que as condições de vida das crianças de toda a Europa e das suas famílias deterioraram-se muito em comparação com a anterior análise da Eurochild, em 2011», lê-se no relatório, concluído em dezembro do ano passado. De acordo com a Eurochild, depois de um breve período de medidas de estímulo e expansão da despesa pública para contrariar o primeiro impacto da crise em 2008, a maioria dos governos europeus introduziu medidas de austeridade severas nos últimos anos, «o que representa uma série de ameaças às crianças e às suas famílias». «O estudo mostra que, desde o início da crise, muitos governos introduziram medidas de corte na despesa social, que são diretamente sentidas pelas crianças e pelas suas famílias», diz a Eurochild. «A crise afetou todos os países europeus, mas em diferentes graus. Nos casos mais graves, os governos da Grécia, Irlanda e Portugal aceitaram pacotes de empréstimos com a troika da Comissão Europeia, Banco Central Europeia e o Fundo Monetário Internacional, na condição de imporem enormes cortes na despesa social», aponta a organização. 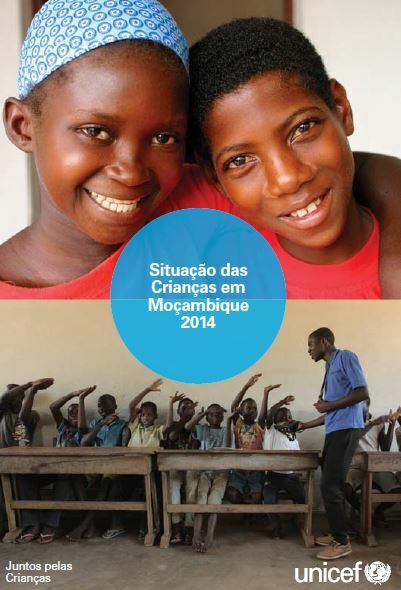 De acordo com o relatório, em Portugal, o corte nos benefícios para as crianças entre 2010 e 2012 «foram particularmente severos e tiveram um impacto significativo no rendimento de muitas famílias com filhos». 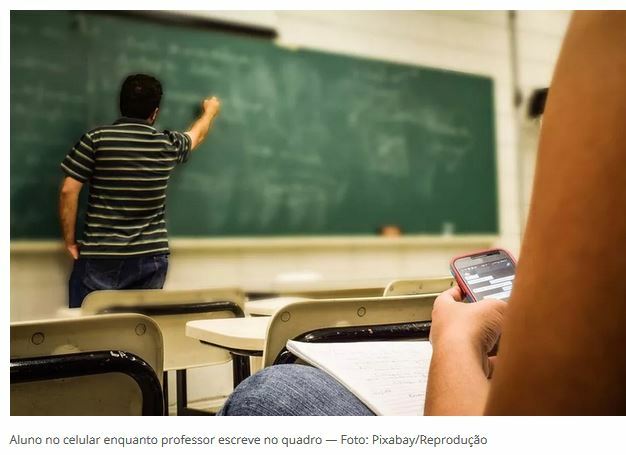 «As novas e restritivas regras de acessibilidade para os benefícios sociais podem levar a que muitos beneficiários sejam injustamente privados do acesso à assistência social, o que pode igualmente constituir uma importante redução no seu rendimento», lê-se no relatório. Os dados relativos a Portugal foram recolhidos através da Rede Europeia Anti-Pobreza que sublinha que «o desemprego e o corte nos subsídios têm uma influência direta nas oportunidades e nos cuidados infantis». 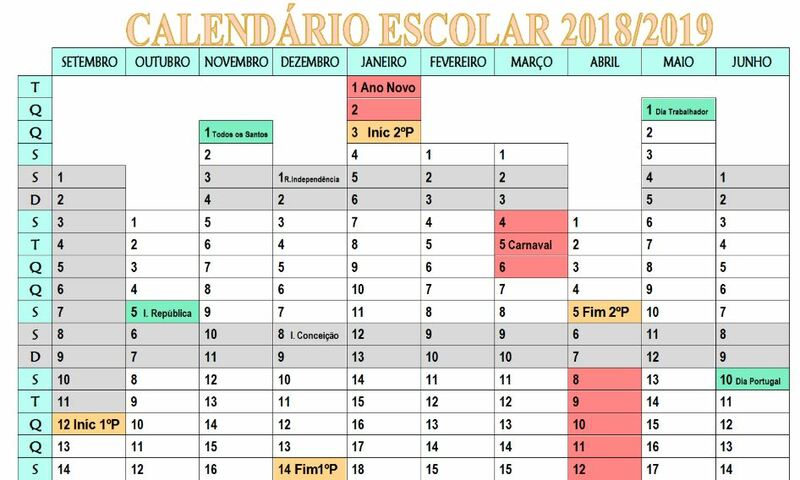 A mesma organização denuncia «o aumento substancial», nos últimos dois anos, do número de casos de famílias com dificuldades em pagar os seus empréstimos e um aumento do número de chamadas relacionadas com pobreza familiar feitas em 2011 para a linha do Instituto de Apoio à Criança. 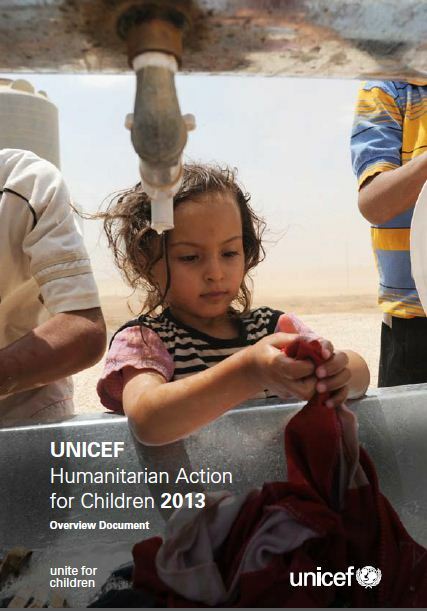 UNICEF’s Humanitarian Action for Children 2013 highlights the humanitarian situationfaced by millions of children and women and the support required to help their families, communities and national institutions meet their basic needs, promote their well-being and provide them with protection. UNICEF is appealing for almost US$1.4 billion to assist millions of children, women and men by providing them with nutritional support, health care, water, sanitation, learning spaces and materials, protection services, shelter and information. This support is not only to provide lifesaving emergency interventions, but also to strengthen national preparedness systems and build resilience at community, subregional and national levels, so that avoidable illnesses and deaths are prevented and those affected are able to recover. In partnership with national governments, civil society organizations and other United Nations agencies, UNICEF works in some of the most challenging environments in the world to deliver results for millions of children and women threatened by natural disasters or complex emergencies. Despite challenges and constraints, sustained advocacy, political and financial commitment, and collaboration in 2012 resulted in achievements that need to be built upon and continued into 2013. The current global crisis in children’s protection and care is both intrinsically harmful to children and threatens the achievement of other rights and broader development goals. This paper focuses on the inter-dependence between efforts to reduce the exploitation, abuse and neglect of children and global goals on health and survival as articulated by the current Millennium Development Goals (MDGs). For the mutual benefit of both these areas, the framework that will replace the MDGs in 2015 must both continue to include a focus on health and child survival, and encompass particular goals and indicators on children’s protection. 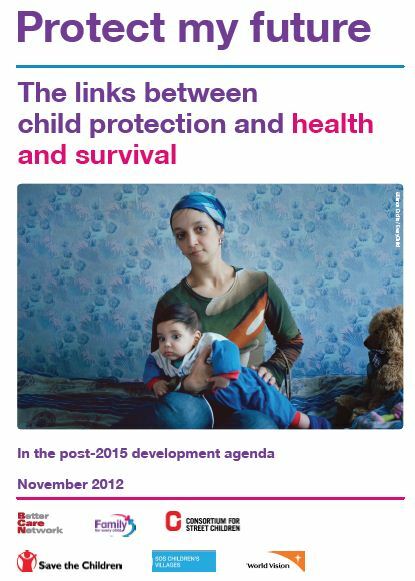 This paper is part of an inter-agency series on the links between child protection and major development goals. Other papers in the series address subjects including education, population dynamics, climate change and conflict, and growth. This series is part of a global inter-agency campaign to raise the profile of child care and protection in development and humanitarian work, including the post-MDG framework. 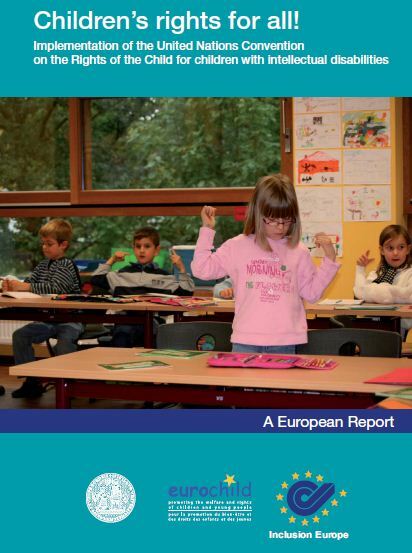 This publication provides an overview of the situation of children with intellectual disabilities in twenty two European countries, with a particular focus on five areas: protection against abuse, family support and (de-)institutionalisation, health, education, and participation of children. It recommends steps to be taken to remove barriers to their inclusion. 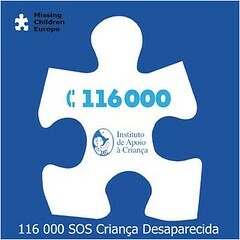 The publication is based on a series of Country Reports that paint a rather distressing picture of the situation of children with intellectual disabilities. 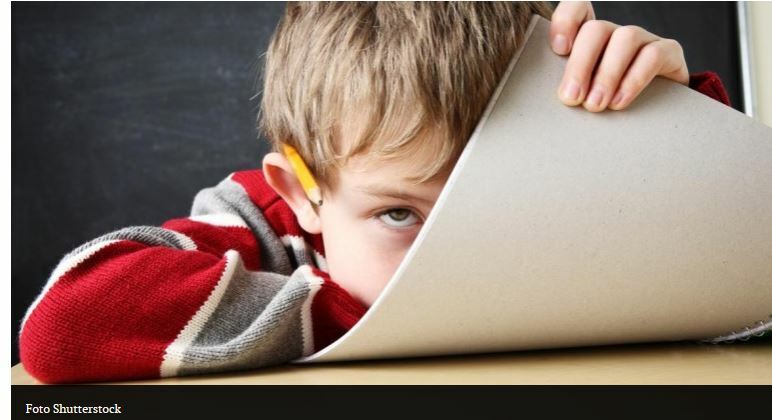 All of them state that there is very limited evidence on how the rights of children with intellectual disabilities are upheld in the researched countries. The results of the survey show that CRC implementation from the perspective of children with intellectual disabilities is far from satisfactory in all five areas. While some attention has been paid to education and health, the European countries should focus also on other areas such as abuse and participation of children with intellectual disabilities. Despite progress and positive developments in the area of education and de-institutionalisation, many children with intellectual disabilities continue to be educated exclusively in segregated settings or are placed in long-term residential institutions. It has been acknowledged by civil society, governments and experts that children with intellectual disabilities are generally at greater risk of becoming victims of psychological and physical violence, sexual abuse and bullying, especially in institutions or at schools. While progress in favour of inclusive education can be seen in many countries, access to mainstream education for pupils with intellectual disabilities is still rather modest. While in Europe access to basic health care is ensured for all children, the Country Reports reveal huge disparities among the EU countries.